People wait in line to get an H1N1 vaccination Saturday at the North Coastal Public Health Center in Oceanside. Patients lined up at San Diego county clinics this weekend to get the swine flu vaccine after a second shipment arrived late last week. 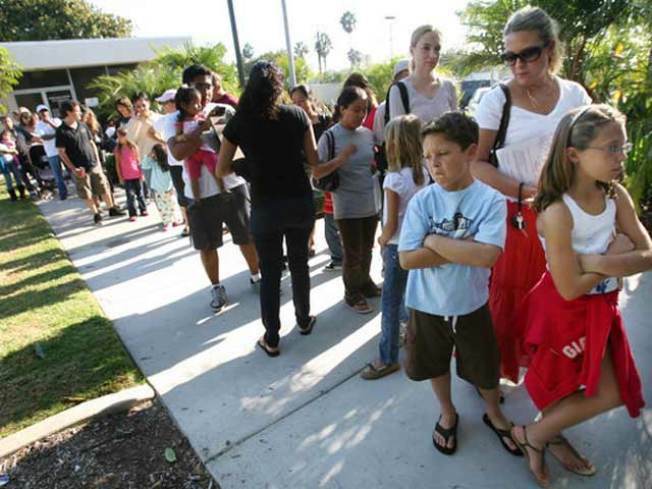 About 6,800 people waited up to two hours to get the vaccine at centers in Oceanside, Escondido and elsewhere around the county, according to the North County Times. The busiest line was at the clinic in Kearny Mesa where some people waiting in line for three hours, according to County Public Health Officer Dr. Wilma Wooten. For most patients in the county, the wait time averaged an hour and a half. San Diego County Health and Human Services Agencyannounced the shipment Friday afternoon with a list of centers that began distributing the vaccines immediately. 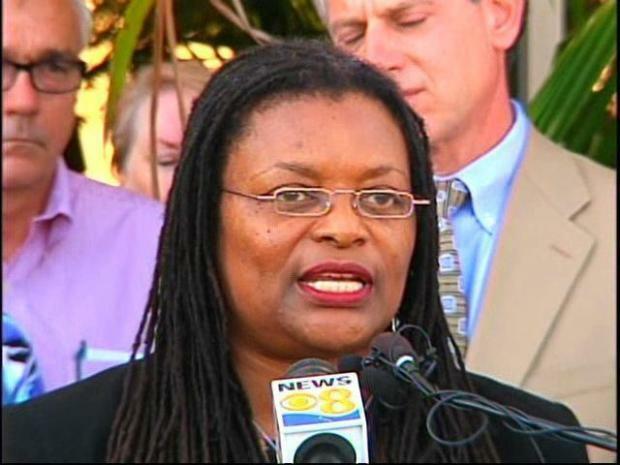 Raw video from the San Diego County Health and Human Services Agency news conference on Friday, October 23, 2009. Patients lined up Saturday at the County’s six public health centers and one vaccination clinic. Additional doses went to hospitals, community clinics and to healthcare emergency workers. "We are not going to run out today," Wooten said Saturday. "We anticipate we will have enough to get through tomorrow's (Sunday's) clinic as well." Health care providers, pregnant women and children (pre-school, elementary and middle school) as well as individuals who live in households with children younger than six months of age will receive priority when it comes to receiving the vaccine. There are six County Public Health Centers and one County Immunization Clinic. These seven locations are located throughout San Diego County. The H1N1 flu vaccine is available at these locations for people in the high risk groups for complications from H1N1 flu. *Subsequent hours will be determined based on demand. For more info, visit www.sdiz.org or call 211.